To some extent, nearly every household experiences sibling conflict. But in some cases the intensity of the conflict becomes extreme and if not taken care of, can lead to anger outbursts, emotional instability or even physical aggression between your loved ones. This is where Symmetry Counseling’s Sibling Conflict Therapy comes in. As Chicago’s relationship specialists, we understand the factors involved in sibling conflict and know how crucial it is to determine the severity of the situation as well as to identify strategies to resolve or reduce it. Make no mistake- sibling conflict can become so severe that it disrupts daily functioning, resulting in family stress as well as having a negative impact on a child’s emotional development, self-esteem or mood. Severe sibling conflict can also lead to physical harm, depression and school problems. Not to worry, our counselors can effectively determine the root cause of the issue and develop the best solutions possible to help eliminate or minimize the conflict. 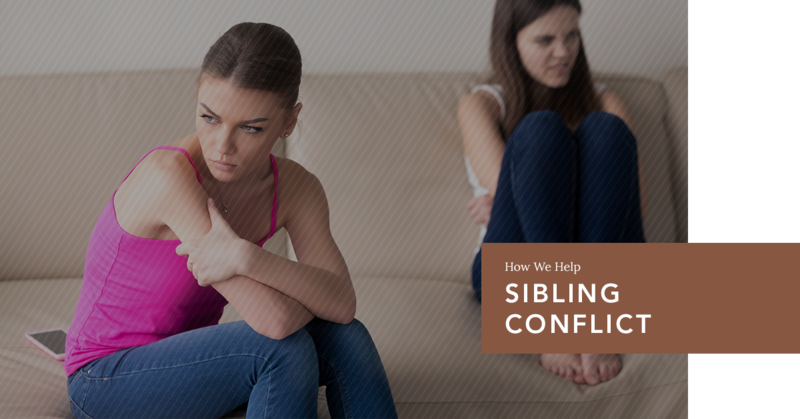 We enforce problem-solving skills and cooperation to help manage sibling conflict in the long run. Symmetry Counseling understands different children’s needs, which allows us to resolve arguments and set ground rules as a team while giving your child the space they need to grow.